How is that for a bold statement! But it may very well be true, even if you do it regularly on schedule. Display calibration and profiling is a must for all digital photographers. There is no escaping that if you want to produce an accurate representation of your work not only on your monitor but on the Internet, in competitions, on your friends’ monitors, mobile devices, and so on. Clearly, you cannot control the quality of the displays in front of the millions of users all over the world. But you can do your best and provide accurate information. This becomes particularly important and immediately visible if you print your work, yourself or printed at a lab. There are many devices in the market, presumably all capable of bringing the colors on your monitor where they are supposed to be. I have been using a calibration device for 18-20 years, starting with Monaco Optix XR, then a ColorMunki Photo, finally an i1Display Pro. They are all in the X-Rite products stable. There are other models and other brands, the prices have come down considerably and there is no excuse for not using one anymore. They all come with their drivers and calibration software which, in a layperson language, display a series of known color values and reads the displayed value. If they differ, the software creates a profile, something like a lookup table, that makes the corrections on the fly. This part is familiar to everyone. One of the adjustments, in fact, one of the critical choices in this process is the luminance level of the monitor. This is worth looking for in a calibration device before picking one up, make sure it allows different luminance levels for the monitor. If you use a calibration device and do not see this in the interface, try first switching to “Advanced” mode even though this could be a little more involved process. The screen luminance is measured in candela per meter squared (cd/m2). When you find a drop-down selector with this unit next to it, you have found a critical piece of adjustment in your calibration process. The question is what is the right level of monitor luminance? The definitive answer is: It depends. Depends on your environment, how bright a room you work in, whether there are windows in your view or behind you, the wall colors, etc. I have a post discussing your digital work environment that is worth a look. If your monitor luminance is too bright, a properly exposed image will look too bright and you will make it darker to look correct on the screen. 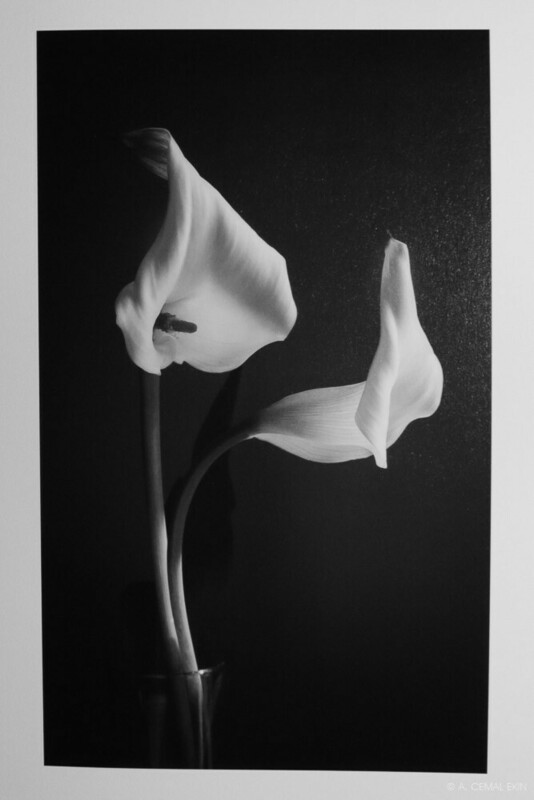 This will make your image project darker in competitions, and produce darker prints. The opposite is also true. If your monitor is too dark, a normally exposed image will look too dark and you will brighten it, resulting in too bright a projection in the competition or lighter than normal prints will result. Open the test image in Photoshop or other software you use to edit images. Make sure that there are no adjustments are applied by way of autoprocessing on import or the like. Now, print this image on an 8×10″ paper with proper workflow and color management. When the print is finished take it to your viewing light, if possible next to your monitor while shielding it from the light. Look at the print, look at the monitor. Do they look the same? Is one brighter or darker than the other? Get your calibration device, start the software and look for the luminance adjustment. If you left it at its default and you are using an i1Display Pro, it may be at 120 Candela /m2. You may need to adjust this up or down. In the case of #1, lower the luminance by 20-40 units, calibrate the monitor and look at the print again, no need to produce another print. After a couple of iterations, you will get them to look sufficiently similar if not outright identical. There are measurement instruments that will give a precise answer to this question, they are not easily accessible. So, I have improvised yet another empirical approach to assess the luminance levels. Bring your camera out, take a picture of the image displayed on the screen in manual mode. Try ISO 800, f/5.6 at 1/60 second exposure, or what your camera indicates while you are in the manual mode. Then, with exactly the same setting photograph the print under the viewing light making sure that the light is at a distance of normal viewing. My viewing light was at about 18″ and at a slight angle and it is not as even as I would like. You can see a little glare on the right side of the print photo, no problem though. Try to set this distance that makes the print look the same as the screen, within reason of course. It will be somewhere between 1-2 feet from the print. These are my results, not bad if I may say so myself! My viewing light was at about 18″ and at a slight angle and it is not as even as I would like. You can see a little glare on the right side of the print photo, no problem though. Try to set this distance that makes the print look the same as the screen, within reason of course. It will be somewhere between 1-2 feet from the print. These are my results, not bad if I may say so myself! Now, compare the photographs. Your eyes are extraordinarily adaptable to changing light levels. Using the camera in the manual setting will record different images that you can compare on your screen. Viewing them side by side will allow reading values from the same locations of each to compare. Now, before you jump on my neck that this is imprecise, let me say “this is imprecise” as a measurement. It is only a tool that is at our disposal that removes part of the subjectivity of our eyes because of their huge adaptability. 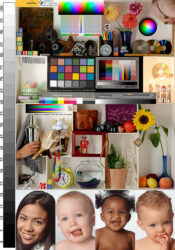 But ultimately you will make a judgment using your eyes every time you make a print, this is only to find the optimum level of luminance for your monitor and editing environment. Get to work! This will take a little time. But, you will love the results and know that the results of your edits are going to be accurate. A very useful article that I will always keep. I have been always “willing” to buy a monitor calibration tool but have never done it. Reading your post, I think time has come and is already passing. My biggest hurdle was the monitor brightness (luminance). Since this depends a lot on the environment, I have always made it an excuse to myself not to buy a calibration kit. I thought it would be like measuring with a micrometer, marking with a chalk and cutting with an axe. I have always thought that the gamma correction will be useless if I cannot control the environment. Best regards from your place – again a lovely and exciting Tarsus! Yes, indeed, it is a must to have the monitor calibrated. I am surprised that you got away without doing it for so long. With a good device and a little planning you can have a monitor that is, say 95% accurate. The rest is negligible. I have come up with this idea of photographing the screen and the print because I do not have a luminance meter. Don’t forget to control the environment as well. Regards to you and Tarsus.